It was inevitable that the Trump visit was going to distract the media from the detail of Mrs May's White Paper. But then, it takes very little to distract the legacy media. But when it comes down to it, Trump is just noise. We are not negotiating Brexit with the United States. What its president says, in the short-term really doesn't matter. What does matter, and really matter, is Ireland. Whether we like it or not, the outcome of Brexit depends on resolving the Irish border question. And upon that depends the fate of the United Kingdom. For, despite the fatuous, malign ignorance of the likes of Liam Halligan, "no deal" is not a walk in the park. In fact, Halligan, in asserting that Britain "already conducts most of its trade outside the EU, largely under WTO rules", is lying. And he must know he's lying. Furthermore, what he's doing is irresponsible. It's equivalent to shouting "fire" in a crowded cinema auditorium – dangerous public misinformation on an industrial scale. What we really need to know is whether our Government is going to do enough, in the words of the White Paper, thereby "preserving the constitutional and economic integrity of the UK and honouring the letter and the spirit of the Belfast ('Good Friday') Agreement" (GFA). But therein lies the essence of the Irish conundrum. Honouring the letter and the sprit of the GFA means avoiding a hard border between Ireland and Northern Ireland. On the other hand, "preserving the constitutional and economic integrity of the UK" effectively prevents the establishment of a "wet" border, which is the necessary outcome of adopting the so-called "backstop" solution. As far as Mrs May is concerned, the "partnership" outlined in the White Paper "would see the UK and the EU meet their commitments to Northern Ireland and Ireland through the overall future relationship". Yet, despite that, the UK is prepared to accept the "operational legal text the UK will agree with the EU on the 'backstop' solution as part of the Withdrawal Agreement will not have to be used". This convoluted wording is to be found in the Chequers statement and it is repeated verbatim in the White Paper. And, to say it is ambiguous is not an overstatement. On the face of it, it could mean that Mrs May is prepared to accept the protocol on Ireland/Northern Ireland, something to which, she has said, "no British prime minister could ever agree". That she might be prepared to backtrack was certainly something that concerned Nigel Dodds, MP for Belfast North and deputy leader of the Democratic Unionist Party. Last Monday, in questions following her statement on the Chequers cabinet meeting, he tackled the prime minister on "the continuing obligation of the Government to the so-called backstop arrangement". Dodds asked her to "make it clear that as far as the backstop is concerned she stands by her rejection of the EU's legal interpretation and there will be no constitutional, political or regulatory differences between Northern Ireland and the rest of the UK". The prime minister's response was unequivocal. "I am happy to say", she told Dodds, "that I continue to reject the protocol proposal of the so-called backstop put forward by the European Commission earlier this year". Continuing, she said: "The fact that it would have effectively carved Northern Ireland away from the rest of the UK and kept it in the customs union and most of the single market would have meant that border down the Irish sea - that is completely unacceptable to the Government of the UK". This was picked up by the Irish Times but scarcely, if at all, by the UK press. Even then, the significance was not explored and, since then, reportage on Brexit has been swamped by the rush of resignations, followed by the Trump visit. But what Mrs May has affirmed is that the "operational legal text" in the protocol has been junked by the UK government. The text to which it "will agree" is something that has yet to be tabled and, if it is ever agreed, the UK expects that it will not be used. From our partial evaluation of the UK's proposed partnership agreement, however, it is manifestly clear that it does not offer a solution to the Irish border – not least because the "Single Market in goods" does not have the slightest chance of being accepted by the EU. The net effect of the Chequers cabinet meeting, the statement and then the White Paper, is to put us back to a position before the draft withdrawal agreement was published – on 15 March. To think that we were back to square one would be optimistic. 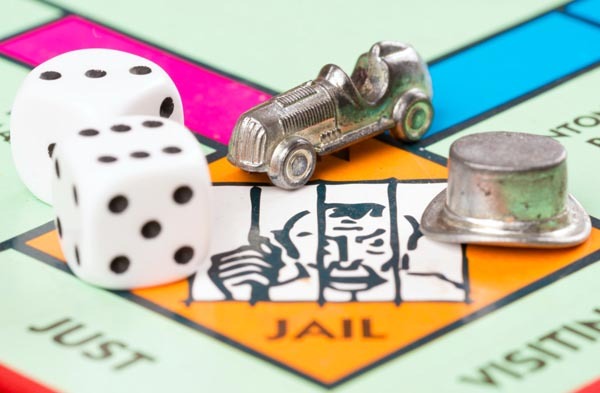 We have landed on the "go to jail" square, and don't even get to pass "go". So far though, we can see Barnier and the "colleagues" playing this low key. This is entirely as expected, and very much accords with what we were led to believe was the way it would be played. Even Leo Varadkar is restrained in his response. He describes the White Paper on Brexit as an "evolution" of the UK's position, but does not see it as a solution to Brexit. Understandably, the EU collective has no interest in pulling the plug on the talks until preparations for the UK crashing out are very much more advanced. And then, it will be tactically more appropriate for the UK to be seen as jumping, rather than being pushed. We need not, therefore, expect much drama over the next few months. An indication of the way things will be played comes here with a report that the European Commission's "preparedness unit" has given Member States "strongly worded guidelines" on stepping up contingency planning to cope with a "no deal" scenario. This, it is understood, was drafted after the publication of the Chequers statement. The guidelines warn Member States to make preparations across a range of areas, including customs, aviation and controls on food, animal and plant products, and financial services. "Although the withdrawal of the United Kingdom may appear to be playing out at a very high and rather abstract level between the United Kingdom and the EU,” they say, "its consequences will be very real for citizens, professionals and business operators". Under the "no-deal" scenario, the guidelines advise Member States that, "the EU must apply its regulation at all borders with the United Kingdom as a third country, including checks and controls for customs, sanitary and phytosanitary standards and norms verification, movement of persons (potentially including visa requirements) purposes". Thus, while the absurd UK legacy media frets over how the Conservatives are reacting to their leader's White Paper, and whether it might be acceptable to Parliament, the real world focus is elsewhere, on how to cope with practical problems of considerable magnitude. Here, though, there has been what could have been taken as a flash of realism, with The Sun reporting that ministers have drawn up "secret plans" to stockpile processed food in the event of Brexit talks collapsing. Similarly, there is some recognition that supplies of electricity might be at risk, through loss of the interconnectors. However, rather than examples of sensible planning, responses are being cast as gesture politics, to show Brussels that "no deal" is not a bluff. Yet, Brussels is way ahead of the game. With the White Paper being framed by some as the last and best "offer" from the UK government, the Commission is taking it as the most explicit confirmation that the Brexit negotiations are on the rocks. And, as if we needed reminding, we are all conscious of the sequence: if there is no settlement of the Irish border question, there is no withdrawal agreement. And if there is no withdrawal agreement, there is no transition period. We crash out of the EU on 29 March next year.